If you asked my parents, they would say I was a kid who had a lot of energy. 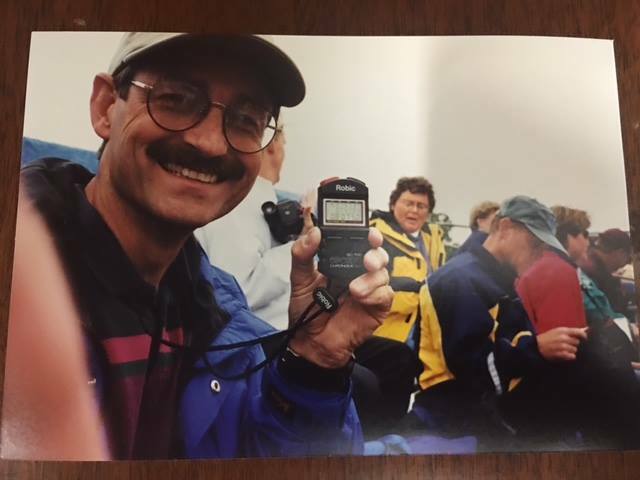 From time to time I would run around a dirt track and have my dad keep track of the time it took me to run a lap – and after each one challenging me to do better. In 8th grade, my teacher made me run out to the monkey bars and back just to let off some energy. I was a child who liked to move. 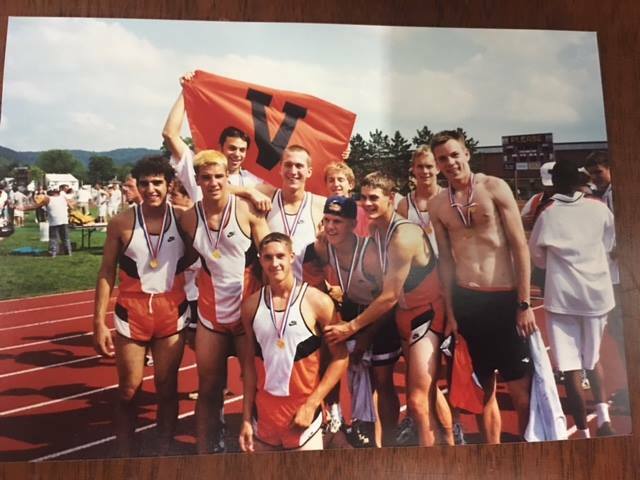 I ran high school track and field at Verona Area High School, which is a division 1 school just outside of Madison. It was here where I developed a love of running through a storied program and an amazing hall of fame coach. I had many good experiences in high school that helped lead me to Run Away Shoes. One day after buying my 3rd or 4th pair of shoes from the local running store called Movin’ Shoes, I was asked if I wanted a job. I couldn’t contain my excitement. 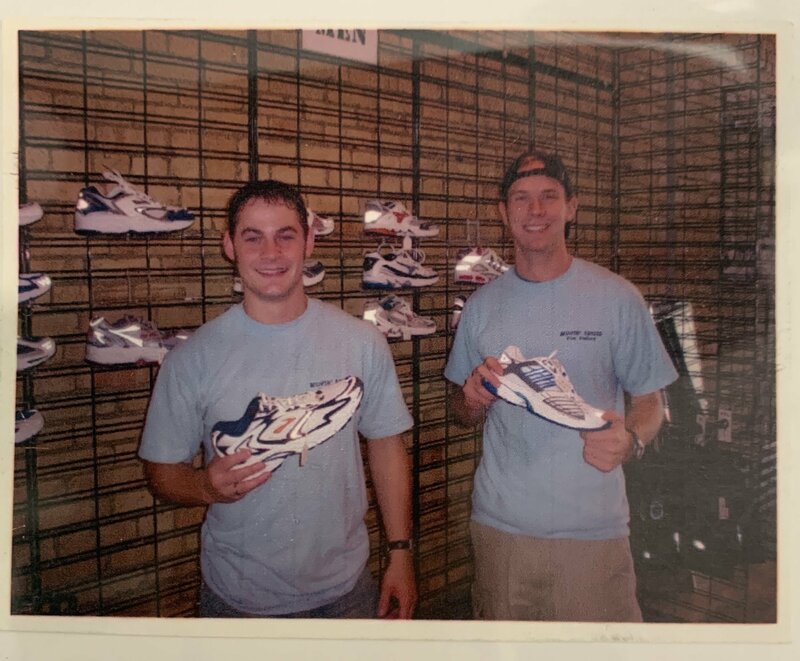 As a junior in high school I started selling running shoes to anyone that would listen to me talk about them. What else could a runner ask for; run, talk running, and get a discount! 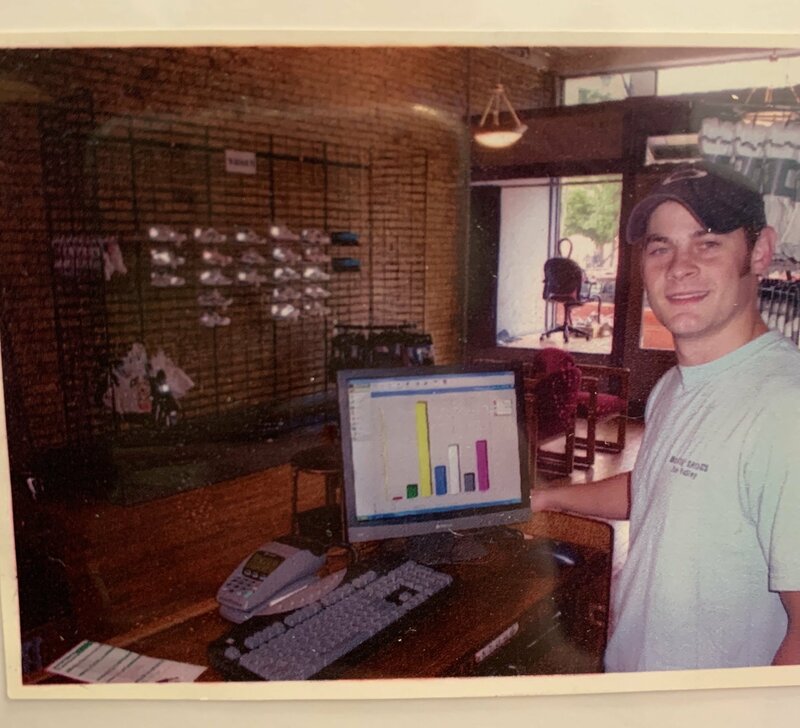 I went to college at UW-Oshkosh to run and get my degree in marketing with an emphasis in Entrepreneurship, so I could start my own shoe shop later in life. I put my future idea into many of my class assignments. 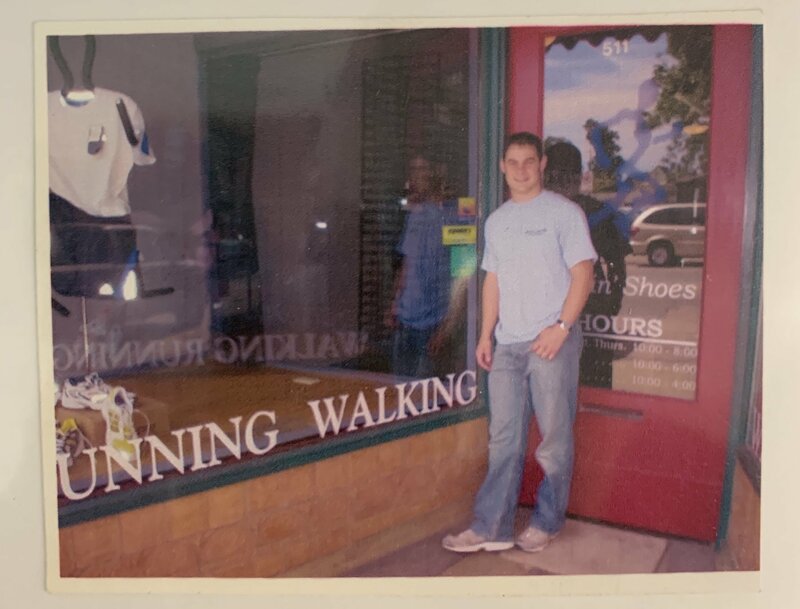 During college, I also borrowed shoes from Movin’ Shoes so I could create a mini shoe store at the Student Union and sold shoes. I also would sell shoes out of my dorm room to students and I even got my college coach to let me sell shoes, t-shirts, and sweatshirts to the team. Little did I know this total package of pleasing customers and creating a full service company would come together many years later when I opened Run Away Impressions in 2017. I was approaching graduation from UWO and I couldn’t find a job that I liked so I walked into Movin’ Shoes on my Mom’s birthday and asked for a job. While I pitched myself, I gave Karl (Movin’ Shoes owner) 10 marketing ideas that I would implement for him, as well as sell shoes. He told me that my ideas were great, but if I got a bit more detailed I could maybe even open my own store in the Fox Valley. I took the next month, created a business plan, and excel spread sheets and even got a bank to say “Yes”. I graduated and left for Europe the next day. A month of bread, water and a few beverages later, I came back and drove straight to the bank and signed my life away. 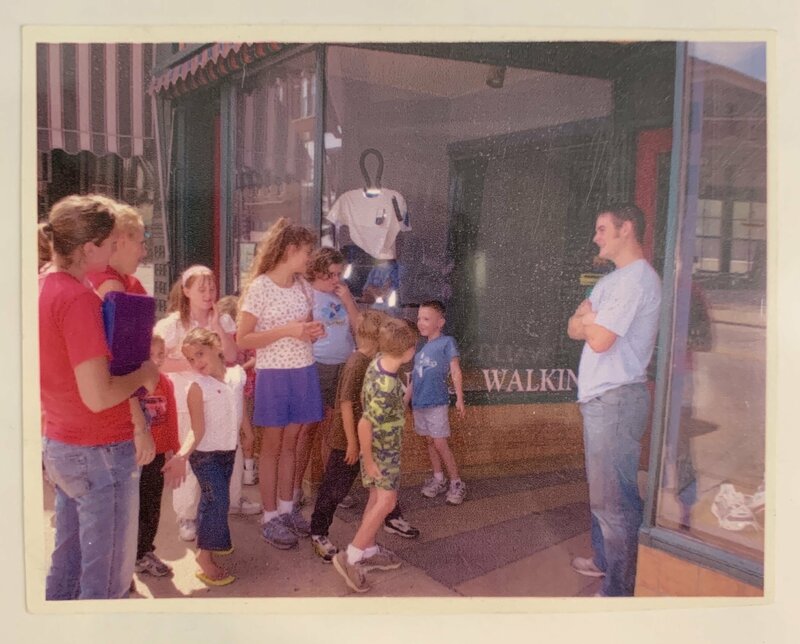 On July 27th at 10am, I opened Movin’ Shoes Fox Valley in downtown Oshkosh. Now, hindsight is 20/20 & I have made many mistakes in my life and learned many things of what not to do. This first shop was special. I lived, breathed and almost failed in this location and it proved to be a great learning curve to the big bad business world. A great sales day would have been 300 dollars and compared to the past few snow weeks that would be comparable. I read many books, got really good good at Solitaire, had “snow days”, and even lived in the shop for a few months. Best of all in that time, I met my wife. It was the most humbling experience and I still carry that humble thought; I need them (all of you) more than they need me. If you have read this so far, thank you, and realize all companies have a small and humble beginning. Hopefully you have come to understand we at Run Away Shoes really do try our hardest to make the shoe, sock, insole, race or tee shirt fit and function the best we can.